Western Mass. Medicare for All (WMM4A) is pleased that an energetic primary season has now culminated in victory for several strong Medicare for All supporters almost certain to be elected to office on Nov. 6th. Single Payer healthcare was a key issue in the primary for many candidates and voters, discussed at public forums, and reported in the media. Most of the candidates running for state office in Franklin and Hampshire counties responded to WMM4A’s Candidates Single Payer Survey. Winning candidates who responded include Natalie Blais, Jo Comerford, Mindy Domb, Paul Mark, and Lindsay Sabadosa. Their responses were thoughtful, with consideration for how we can actually implement a Single Payer system in Mass. All of these candidates agreed, if elected, to help initiate and participate in a Single Payer Legislative Caucus. Such a caucus will provide a forum for in-depth discussion and advocacy on this issue in the Statehouse.Western Mass. 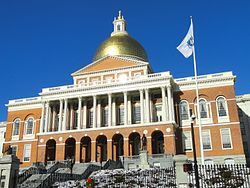 has an important role to play in advancing Singer Payer legislation in Mass. We expect that this new delegation will provide extraordinary leadership in the next legislative session beginning in January, 2019. For almost two decades, proposed Medicare for All legislation has been submitted but not advanced by the Joint Committee on Health Care Financing, currently co-chaired by western Mass. Senator James Welch. We look forward to a long-overdue change next year. WMM4A also recognizes that there were several excellent candidates who strongly supported Single Payer but did not win the primary. We sincerely hope they will continue to advance this issue. Some have already connected with WMM4A and we welcome them!